Six lean greyhounds in racing colors sprint wildly around a parched track in sun-baked central Florida. “This is a little anti-climactic,” admits John Niebler, the Melbourne park’s operations director, motioning to the nearly deserted stands. “Doesn’t make much sense, does it?” asked Christine Dorchak, president of GREY2K USA Worldwide, which calls itself the world’s largest greyhound protection organization. Animal advocates consider the races cruel. Florida’s law does make sense, however, to kennel operators. Their winning greyhounds earn four to five percent of overall casino proceeds, even if no one sees them win, said FGA spokesman Jack Cory. But Dorchak, a lifetime animal lover who owns a greyhound, said the practice is cruel. “Thousands and thousands of dogs are basically being held hostage,” she said. “It’s just fun,” said 74-year-old Joanne Garrison, one of the few spectators in the nearly deserted grandstand. “It’s a good way to spend an afternoon,” said Garrison, who was planning to stay for eight races. 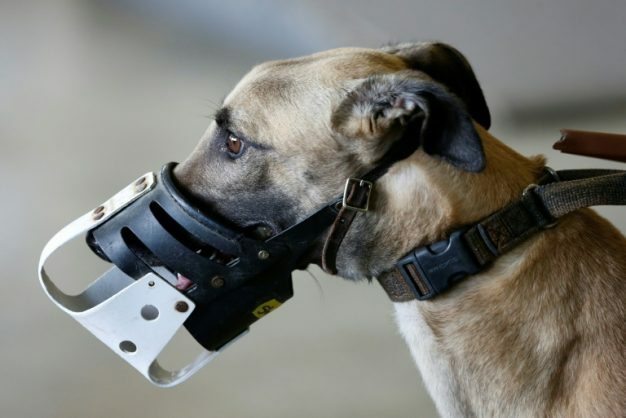 The greyhounds, chomping excitedly at the bit when suited up to run, sprint around the track for 30 seconds — then must return to their cages to wait two or three days for their next 30-second race. But Cory rejects the accusations of abuse, saying the kennel operators’ livelihood depends on keeping their dogs healthy enough to win races. That’s why O’Brien favors a so-called “decoupling” move that would allow casinos to offer other forms of gambling without having to stage live competitions.